Floss is a very maternal lady, she is very protective of her first baby Gemma, she doesn’t like to share babysitting duty. She is always perfectly clean, doesn’t like to get her hair messy of mucky at all. She has long hair and if she gets a piece of hay stuck to her, she will shake to get it off! She doesn’t like to get her feet (and toenails) muddy. If she was a human, and could get hold of some nail varnish, she would love to paint her nails a bright colour! 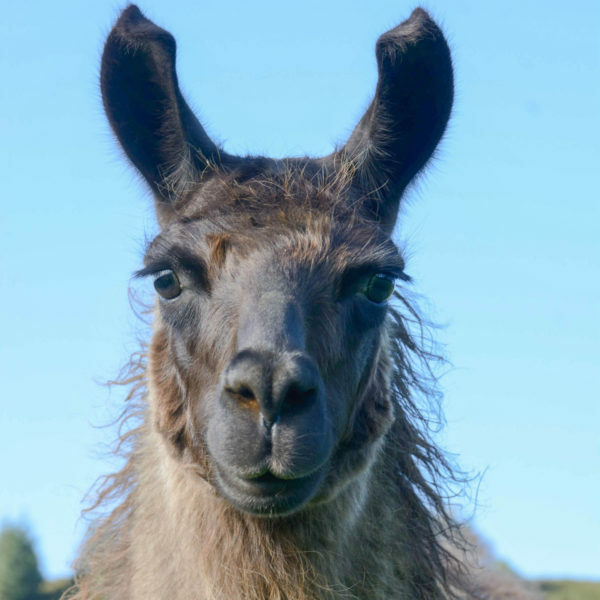 Floss is not a trekking llama, because she is too busy being a lady of leisure, looking after kids and her looks!